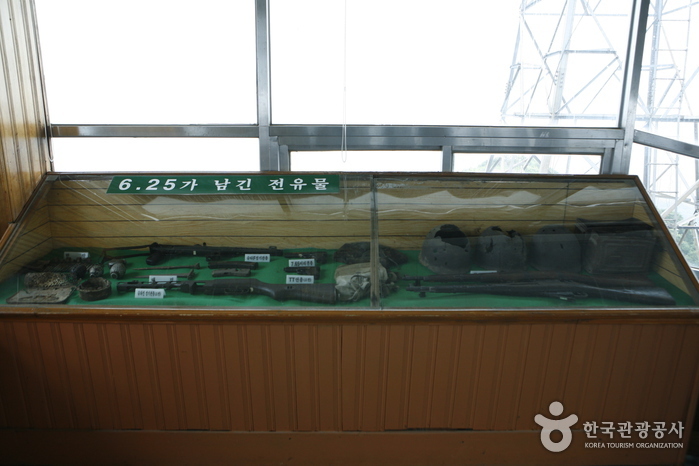 From Yanggu Bus Terminal, take a city bus bound for Haeanmaeul Village (60 min ride). 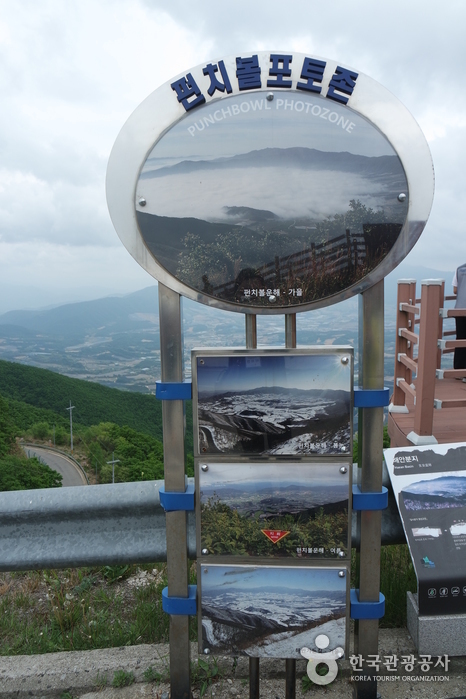 - Get off at Haeanmaeul Village and go 15 min further toward Unification Department Yanggu North Korea Hall by taxi. 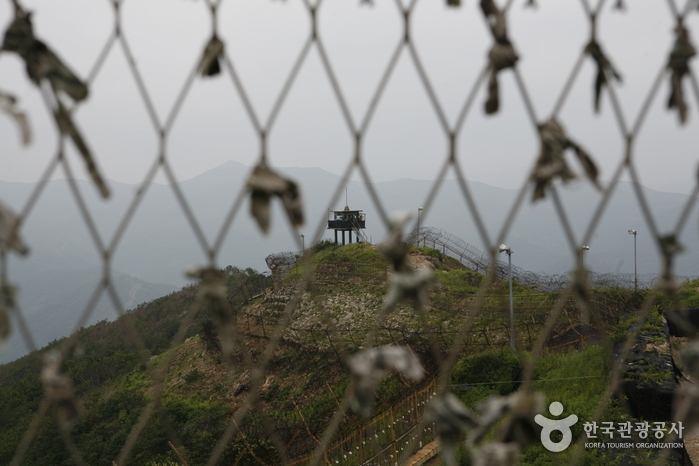 - Civilian access and walking is not allowed at some points, thus please check the information before visiting. 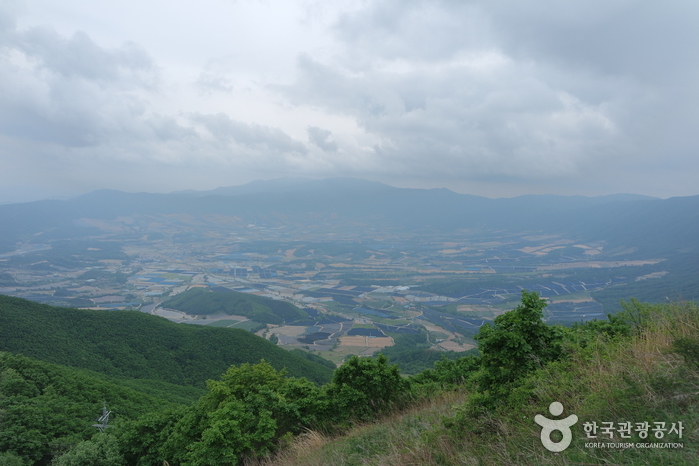 - Takes about 45 min from Yanggu Bus Terminal. 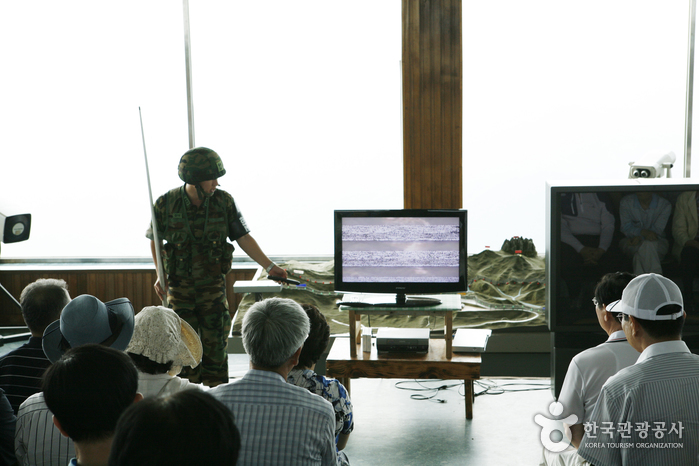 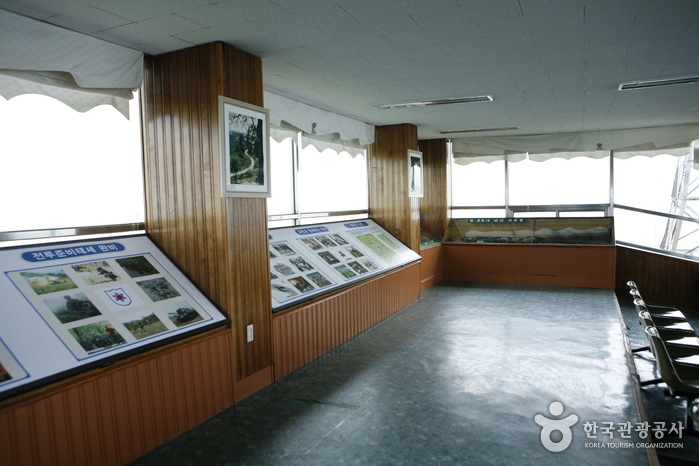 Eulji Observation Platform, located near the Military Demarcation Line, is now one of the most informative relics dating back to the Korean Conflict. 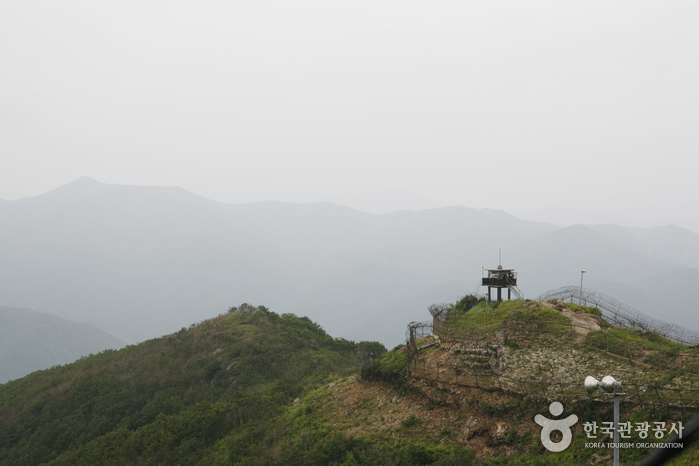 From the Eulji Observation Platform, North Korea soldiers on guard are visible and on clear days so is Birobong Peak of Geumgangsan Mountain. 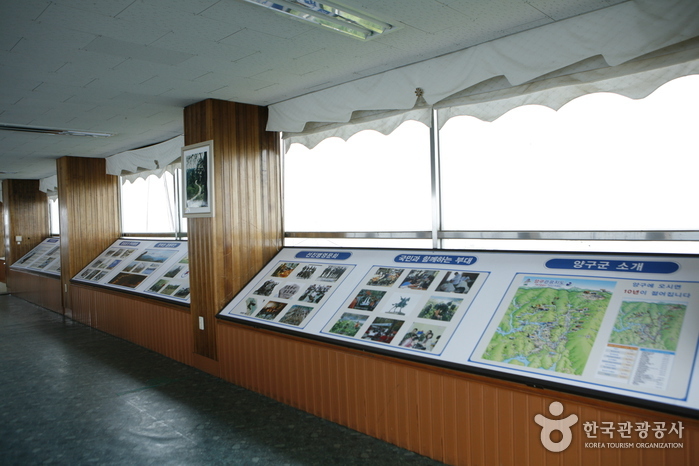 Every year over one hundred thousand people visit this observation platform at the DMZ.